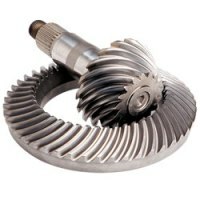 Ring Gears Manufacturers in India, Providing quality gears worldwide. According to requirements We developed high quality Ring Gears, these Rings Gears having teeth on the edges of flywheel of an internal ignition engine and search usage in automotive applications. We are expertise in all kind of Ring Gears for ships, power plants, power generators etc. Material :MS or Alloy Steel, Carbon Steel as per ASTM, BS, IS, AISI, SAE or any as per customer requirement. Manufacturing Capacity : 10mm to 8,000mm Outside Diameter.